In the piece below, Moses Gashirabake takes us through his journey back home to Rwanda after 20 years away. This self reflective story was initially intended to be a daily diary note during the whole journey but due to various commitments, Moses was not able to write everyday. Hope you enjoy the piece. Since the 1994 Rwandan crisis, I had not had an opportunity to go back to Rwanda. My recent and first visit since 1994 happened in December 2014.We escaped to Kenya during the 1994 Genocide against the Tutsi. We briefly passed through Congo (then Zaire). Growing up outside Rwanda, as a stateless refugee was both challenging and unexpectedly rewarding. Challenging in the sense that I was stateless refugee, with no basic human rights and no certainty for the future. Rewarding because it pushed me to take my educational training and personal development very seriously. Education became the only hope for the future. I got inspiration from reading books about great men and women who made a difference despite facing great challenges or being former refugees. The likes of Nelson Mandela, Albert Einstein, Anne Frank, Paul Kagame and others. There were also opportunities that came through my parents’ encouragement and hard work. For example, being accepted to a competitive secondary school in Kenya (Mangu High) opened an opportunity to serve as a member of Kenya’s Children’s Parliament. For the entire 20 years I had been out of the country, all I remembered were the horrific images of 1994. Dead bodies strewn along the streets as we escaped to the Congo. I particularly remember a moment where were almost killed at a road block in northern Rwanda. Luckily, a Mayor who knew my father saved us. That is just one of the many incidences where we survived death. I was a very young boy but I remember that vividly. That said, in terms of a relationship, Rwanda was always and will always be home. I have surviving extended family members there. Unfortunately, a lot of them (mostly on my maternal side) were murdered coldly in 1994. I have always wanted to go back home. Because of loses back home, it has always been difficult for my parents to move the family back. As I was a minor under their care, I had to be where they were (mostly Kenya). Some of my elder siblings have visited the country from time to time. I had wanted to visit as soon as I turned 18 but preparations for post-secondary education did not allow me to. I had intended to visit Rwanda in a personal capacity in the summer of 2015. The summer of 2015 was technically the only first available and convenient time-slot. However, an earlier professional opportunity relating to my legal studies at McGill University and community engagement presented itself for December 2014. The program entailed official meetings with Rwandan officials as well as invitations to participate in national events in Rwanda. For example, I attended parliamentary proceedings, met with high level officials to discuss policy issues as well as had a chance to speak on behalf of Rwandan youth on invitation by President Paul Kagame. It was a great opportunity to directly witness Rwandans successes and challenges. Weeks leading to the trip were quite hectic. I was pursuing my second-year law school exams. Law exams tend to be quite tough. On my flight via London, I was still recovering from the intellectual boot camp that McGill Law is. Interestingly, my arrival in Kigali was laden with a mixture of sweet-sorrow emotions. I had finally gathered courage to go home 20 years after the Genocide. Unpalatable images of 1994 came back fresh to my mind. I almost wept. The somber images of my early childhood were in stark contrast to the vibrant, pluralistic scenes I saw at Urugwiro Village (Rwanda’s Office of the President). Finally reunited with my motherland, my anguish was overpowered with contentment. After all, I was home. That was what mattered most. It felt really good to be back on the Rwandan soil. During my visit, I directly witnessed Rwanda’s impressive growth success. During my first few days, I was extremely fascinated by the cleanliness of streets and the kindness of people. Today, Kigali is as a shining example in many key development indicators. Economic growth in 2014 measured at 7.8%. Property rights are flourishing – over 6 million people (including women) have title deeds. Electricity is up by 40%. More than 80% of Rwandans have healthcare coverage. Poverty has reduced from over 60% to fewer than 45%. Home-grown solutions like the Gacaca courts, Girinka (‘‘own a cow’’ program), Umuganda (‘‘community service’’), Ndi Umunyarwanda (‘‘I am Rwandan’’) and others, thrive. Institutional performance in anti-corruption, over 60% women parliamentarians, Imihigo or performance contracts are a norm – not an exception. The list is endless. Rwanda’s economic growth in 2014 measured at 7.8%. Property rights are flourishing – over 6 million people (including women) have title deeds. Electricity is up by 40%. More than 80% of Rwandans have healthcare coverage. Poverty has reduced from over 60% to fewer than 45%. Homegrown solutions like the Gacaca courts, Girinka (‘‘own a cow’’ program), Umuganda (‘‘community service’’), Ndi Umunyarwanda (‘‘I am Rwandan’’) and others, thrive. Institutional performance in anti-corruption, over 60% women parliamentarians, Imihigo or performance contracts are a norm – not an exception. Before I arrived, I did not know roads in Kigali were smoother than those in Montreal. I did not know that roads in Kigali were fitted with safety light reflectors which make driving at night extremely pleasurable. That was encouraging to see. Unfortunately, quality post-secondary education still remains a challenge in Rwanda. Today, quality educational opportunities remain elusive to many young Rwandans. I often ask myself, why me, and not them? The situation becomes even trickier for the socio-economically disadvantaged portions of the Rwandan society. Even more-so complex since poverty rates in Rwanda are at 45% (Rwanda National Dialogue Report/Umushyikirano, 2014). Quality post-secondary education will undoubtedly ensure Rwanda’s growth agenda is sustained. The best way to support Rwanda now is to directly invest in educating its youth. Pressing needs include equipment costs, research and development and hiring costs for quality professors. With a booming ICT sector, more investments in knowledge education would ensure Rwanda’s growth remains top notch. There is also the issue of poverty that is now at 45% of the entire population. I hope my adopted country of Canada can continue investing in Rwanda’s education. When I left Canada, meeting the President was not on my itinerary. 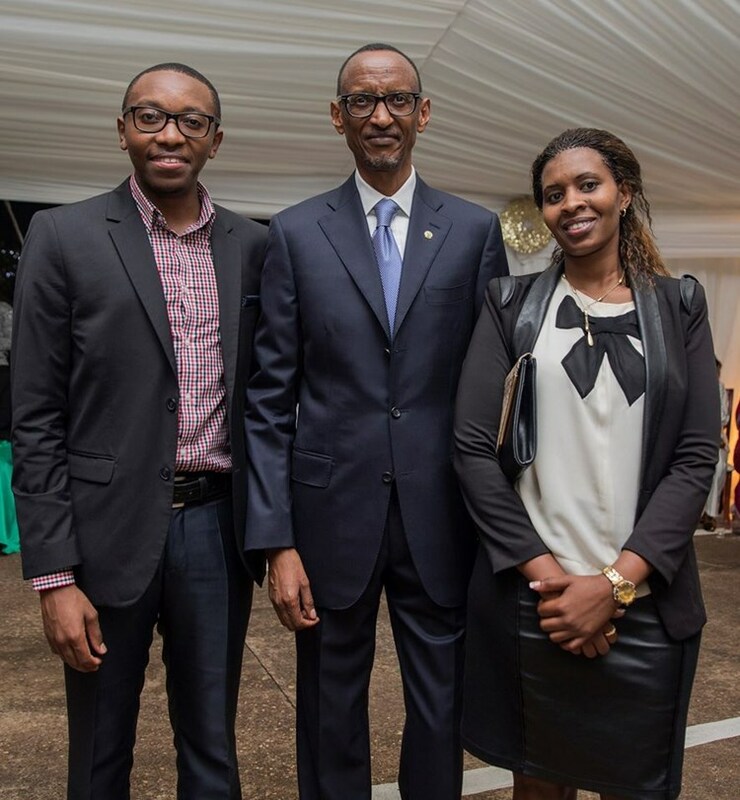 Even though I knew I was going to attend a national dialogue meeting where President Kagame would be delivering a keynote, I was not expecting to meet him in person and be invited to address his guests. It was perhaps a mixture of luck and the professional part I alluded to. Towards Christmas Day, I received a call from Urugwiro Village (Office of the President / OTP). What followed were extremely cool encounters. I met with OTP officials then I met the President himself. The second part entailed being asked if I was willing to pronounce a few words on behalf of youth at an official function hosted by President Kagame at Urugwiro Village on Christmas Day. I had a lot of resources to work on my speech. Since the audience entailed Rwandans and international members of the diplomatic corps, I was free to deliver my speech in both Kinyarwanda and English. It was a moment of pride, to be able to communicate with my fellow countrymen in Kinyarwanda. As the event was a cocktail, I did not need to be too formal. A few jokes here and there did not hurt. I would say my previous experiences as an Ambassador for Concordia and McGill Universities as well as serving as a young diplomat of Canada enabled me to be at ease at an event attended by nearly all-national and international government officials in Rwanda. The content of the speech was very simple; I focused on the fact that it is important for youth in and out of Rwanda to be engaged in the development of our country. I also mentioned how fascinated I was to be invited to the OTP, 20 years after leaving home in the heat of Genocide. Overall, I think the speech was well received. I received positive comments from attendees and the President himself. I was later invited to other official events. I left Rwanda with a lot more friends than I had anticipated. It also made me realize how small a country Rwanda is. I would meet people on the streets who would tell me they saw I had spoken at a Presidential event. The fact that Rwanda has great internet connectivity has made it even much smaller. People follow closely via the net. There are very many interesting things happening in the country relating to development that Rwandan youth in the diaspora can partake in. I shall point out an example from the booming Information and Communication Technology sector. I was privileged to visit Kigali’s Knowledge Lab (K-Lab), a co-working space fitted with free high speed Wi-Fi internet where unemployed youth have access to free space in order to create web products. If we/youth in the diaspora support such initiatives (as that is one of many), we could assist in developing our country. That said, for young Rwandans to effectively contribute, they must first and foremost educate themselves about the current state of Rwanda. Days went extremely fast after my speech. I had made so many friends that it became very difficult to keep up with invitations. Many of those friends persuaded me to stay. I promised them I would be visiting our country more often. I am also hoping to invest in Rwanda even before I finish my graduate training. I have been working on social and business entrepreneurship ventures which I hope will contribute positively to our country. If all goes well, I shall soon start ventures relating to education and entrepreneurship for youth. There are great partnerships that I am hoping to finalize this year.